Since 1999, the Sunshine District of the Barbershop Harmony Society has sponsored a 3-day Summer Music Camp for Florida high school boys and girls and their Music Educators. This camp is called Harmony Explosion. There is nothing to buy and there is nothing to join. This is not just another Camp. You will experience the very best of a cappella singing. 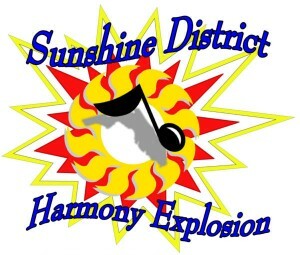 All information regarding Sunshine Harmony Explosion is now available on our own website at sunshinehx.org. Please go there for information and/or to register. If you need further information contact Steve Cragg at (813)390-3690 . If your chapter is interested in coordinating a Workshop in your area please contact Sunshine District’s Youth in Harmony VP Steve Craggvia email or by calling (813) 390-3690 .